If you follow a gluten-free diet and order a pizza on a gluten-free base or a gluten-free pasta/salad for your main course, you may order a Mixed Side Salad for your starter instead of the starter options outlined above. 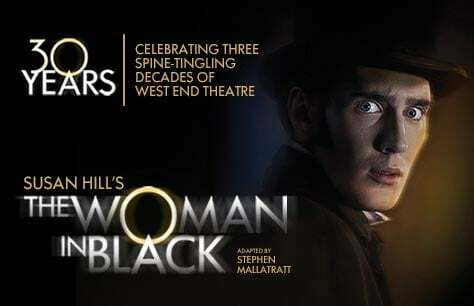 Have a lovely meal at Pizza Express and less than 5 minutes walk will take you to the Fortune Theatre where you'll enjoy a spine-tingling performance of The Woman in Black. Pizza Express is a full-service Italian restaurant, the perfect way to kick off a night at the theatre. The Woman in Black, known as the scariest show on the West End will have you on the edge of your seat all night! Please note, the doors will be closed 5 minutes prior to the performance. Latecomer might not be seated. When we arrived at Pizza Express on Bow Street they did not have a reservation for us. They also did not know anything about this deal and left me questioning have I been scammed. Pizza Express wanted us to pay the bill at the end which should have been free because of the deal. Nearly missed the show as there was so much confusion from Pizza Express. In the end we got the food for free after a big discussion. The show however was obviously a very good watch and I would recommend seeing it. I would not recommend this deal because Pizza Express had no idea what was going on and left you questioning if you even bought tickets for the theatre. Easy to book and great value. Slight issue at the restaurant as they had never heard of the offer before. They had to take a copy of our printed confirmation and provide it to management. They eventually accepted the confirmation and everything was fine from then. Thrilling experience at the theatre which left us in shock, amazement and overall joy. The actors were incredible and the whole performance was exceptional. Would recommend to others.